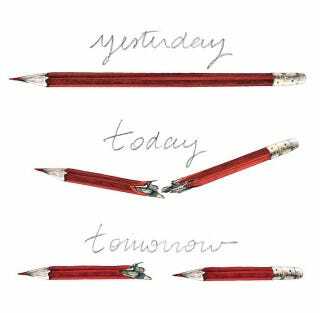 You may have seen a clever Banksy illustration of broken pencils being shared far and wide on social media yesterday. It's a powerful message about optimism and rebuilding after facing adversity. But it's not by Banksy. The illustration is actually by Lucille Clerc, a London-based illustrator. After being posted on an Instagram account purporting to be associated with Banksy, the image has been shared over 130,000 times. There are a lot of fake Banksy accounts on social media but the one that scraped Lucille Clerc's image has over a million followers, which explains its wide reach.